Are you planning to buy a motorized blind to keep your home protected from sunlight and from watchful eyes? Well, the choices for motorized blinds are large in number which could leave you confused on what to install on your home. 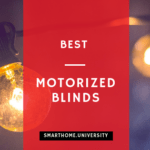 We’ve made a list of the best motorized blinds you can get based on their blind type. We made our choices after thoroughly testing each and every one of them. We also looked into multiple user inputs to see if other users had any issues with the products. The Somfy Sonnese 30 is our number 1 choice as it checks all our conditions. Good price, efficient features, easy to install and little flaws to speak of. Our other choices are not in any way disappointing either. We’re sure you’ll find the right kind of blinds with this detailed list. Motorized blinds can offer privacy and protection indoors and outdoors with a shading system that will be able to respond to your every command. Best Motorized blinds are much more efficient than the standard blinds used in homes. Without any strings or cables to suspend them, there isn’t any reason to worry about the blinds getting tangled up. Connecting with your phones give you the option of opening and closing these best smart blinds with just a click of a button. The best smart blinds for outdoors can protect you from the radiations of the sun. It will be able to reduce heat, glare, wind, insects, and pollen from entering your home. With this system in place, your outdoors will be a more controlled environment for your family members. You can also use these blinds in offices and other professional spaces to grant yourself privacy during meetings or conferences. 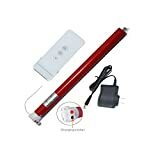 A lot of these products, that is electric blinds cost is not much when advantages are considered. have light sensors and object detection to determine when it is appropriate to open or close the blinds. This leaves you not having to think about them at all. 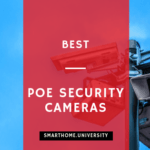 These products can be controlled in many ways like handheld remotes, wireless wall switches or connection with any of your device like iPhone, Android phones, etc. They can even be integrated with your home automation systems like Google Home or Alexa to gain maximum control over the blinds. Best Motorized blinds don’t just allow opening and closing, and you can schedule opening time, give access to multiple users, even geolocate so that it opens when you reach home. We’ve tried and tested several of these motorized blinds to see which one delivers what it promises and how well they hold up in a home. Below we explain in detail, the top 5 best-motorized blinds. 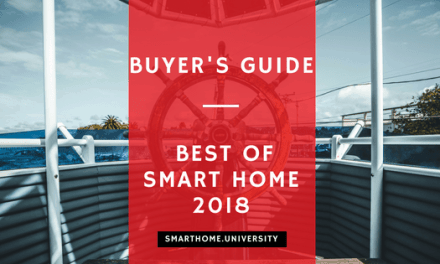 First, let’s explore the various options of motorized shades and what to consider when you’re choosing one for your home. Custom made blinds require a constant power source to function and are designed to suit particular home needs. They are typically quite expensive but will offer several features to benefit your home environment. Some of these motorized blinds cost relatively high and come in various forms like a mounting device which can control blinds. Custom made products usually are quite innovative in its approach. Battery operated best motorized blinds are perfect if you want to cover places without a power source and you want it to be a bit cheaper. A lot of the battery operated products offer rechargeable batteries and even solar powering. Do-It-Yourself best motorized shades are the least expensive products you can buy, but you will have to spend a considerable amount of time setting the product up. 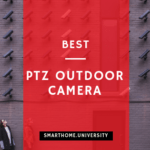 A lot of these products are only provided with what is essential to function so many other accessories that you need will have to be purchased separately. You also shouldn’t expect much software support or quality with DIY products since that will also be pretty bare bone. Retrofit blinds are products with upgraded features that you can use on your previously existing automated blinds. Retrofit products will have upgraded power, hardware or even features or extended compatibility. 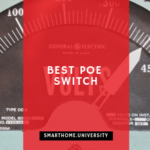 They will be pretty expensive depending on what it offers, but retrofit products are a great choice if you want to replace your current system with something better. Motorized shades cost anywhere between $90 to $400 depending on what features you are going for and the quality of the product. DIY products are usually the cheapest, starting from around $90. The custom made products of popular brands are the most expensive ranging from $250 to $400. 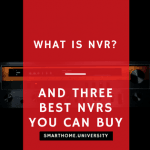 Cheaper options will have fewer features, harder installation setup, and even lower quality hardware. Choosing products carefully is key, and our list will help you make that choice. When choosing motorized blinds for your home use, you need to consider the specifications that you need. Our list will help you determine quality products, but there are many other things to consider when purchasing your blinds. The best smart blinds come in horizontal, vertical and roller versions. Depending on how your windows and blinds are, you can choose which will suit you best. You can find other versions too like Pleated, Venetian and Roman blinds but we haven’t listed them on our guide. Size is another huge issue to consider. Your different windows will have different dimensions, so you need to pay attention to the size of the blind if you don’t want your product to be too short. Do you want your system to be effortlessly compatible with all forms of smart hubs like Google Home, Amazon Alexa, Samsung Smartthings, etc. Then you will need to search for exactly that. There are plenty of products that offer little to no compatibility with automated home systems. The Somfy Sonesse 30 is the all-around best choice if you are willing to spend some money. It offers all the standard features a product like this should have. Sensors, flexible configurations, easy integration with home automation systems, etc. Timer settings will allow you to schedule opening and closing the blinds as you please. RTS technology will provide more convenience with voice command integration for your smart home. You can also control the blinds using Z-wave technology. 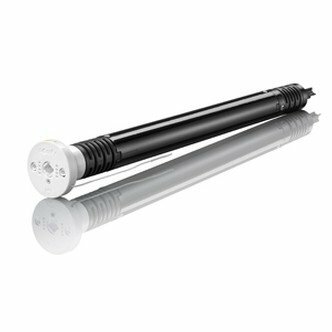 You can use Somfy’s reloadable battery wand to switch battery power. The blinds are fully silent too, you will not even know when it opens until the light hits your face. The Somfy is limited with its features for controlling your blinds compared to other products. There aren’t many programming options available. You can try to use IFTTT with your android phone to get more customization options. The hardware is very good and can open and close blinds without any noise or effort. These electric blinds cost quite decent, they aren’t overpriced. Fit the crown and drive wheel to the motor. Cut the tube to the required length. When it comes to horizontal best smart blinds, mySmartblinds is a great option. It has problems like a lack of effective Alexa integration and very problematic online support. Many configuration features are not as efficient as it claims. However, the price is right, and the blinds work well. The hardware is good, and installation is fairly simple. The Bridge used for integration with smart hubs is not bad, but it isn’t an effective replacement for apps. Does this only work with the wand open/shut system? My blinds tilt with a two-cord system. Can this work with cords? You remove the two cord mechanism in the headrail and replace it with the switch that comes in the kit. The switch is intended to be used with the pole that you turn so you end up with a little hook. I took on of the old cords and tied it to the little hook. Every time you pull down on the cord, the blinds open or close 1/4 of the way. Is there an ETA for the amazon echo app control? The app is nice, but I want Alexa to control them for me. Alexa connectivity has been enabled in the app as of 2018. 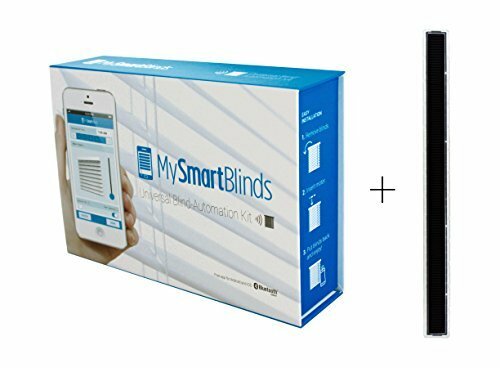 You will need to purchase MySmartBlinds Smart Bridge to connect to your Echo. 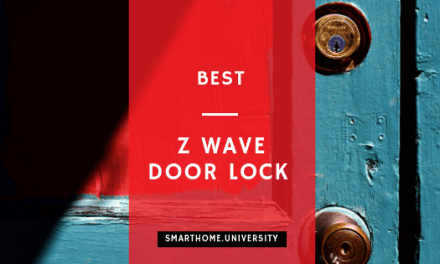 Will you guys be making a Z-Wave option? No. However, the product is in the process of having Bluetooth mesh network be implemented which will give customers access to Z-wave. Step 1: Plug your Bridge into an outlet that is central to all blinds you would like to control. Step 2: Download and open the MySmartBlinds app and create an account if you don’t already have one. Step 3: Select the menu button in the app. Step 4: Select the “Bridge” button in the app. Step 7: Follow the instructions given in the app to finish connecting to your Bridge. If you want to adjust the fully opened and closed setting, you have to remove and re-add the device. The Brunt Blind engine has one of the best apps for controlling your blinds. It is also compatible with most roller blinds available. There’s a couple of issues with the product like multiple tries required to properly connect with Alexa and having to remove and reset the device to adjust the open and close settings. While the system has the best software, it is a bit expensive for what it offers. The product is very intuitive, and you can hang it near the blinds and control it remotely. Does it need to be plugged in all the time? Or can it use batteries? You need to use a standard power source (power adapter included in the package). Will this work with Samsung smartthings? The product is currently preparing for integration with Samsung Smartthings, but there is no estimate on the exact schedule. If we officially integrate with Samsung Smartthings, then we will update. Are you coming out with a battery operated unit? The product does not currently use a separate battery because of the battery’s stability and capability shortage. Moving the blind steadily requires a lot of motor power. The assembly instruction is confusing when it comes to placing the self-adhesive portion of the wand on the blind. The E-Wand is a good product with some minor drawbacks. 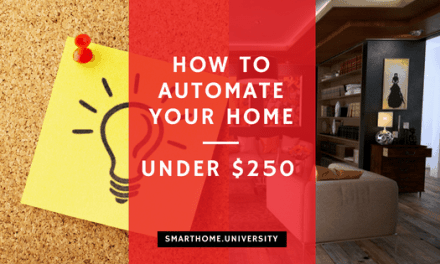 The lack of options to connect it with home automation systems like Alexa makes it very unattractive for many customers, but for those whose homes aren’t automated, this may be of help. The system does its job well, no effort in opening or closing the blinds. It does not have any option to set a time of opening or closing the blinds and instead uses sensors to determine the appropriate moments. Our test has concluded that the blinds do function at appropriate moments. If you don’t want to constantly change the settings and instead want to leave it up with the machine, then this product will be of interest. Is it compatible with Alexa? Is there a way to schedule the opening and closing of blinds using your product? 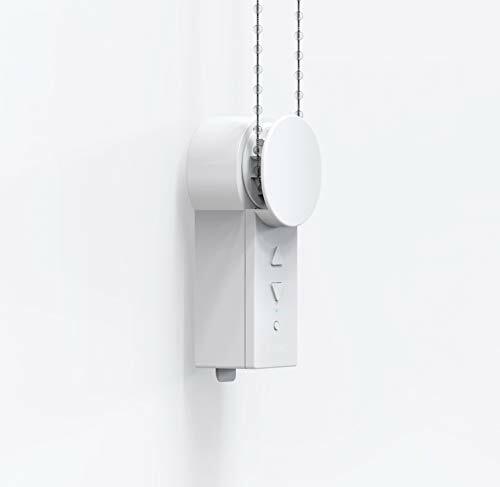 The E-Wand does not have a “scheduling” feature exactly, instead, there is an option to use the integrated light sensor to automate the opening of your blinds at sunrise and the closing of them at sunset. The automation feature via sensors has three modes: off, fully automatic, and semi-automatic. Fully automatic both opens and closes your blinds at sensor triggering events, while semi-automatic will only close your blinds, not open them. If it is set to automatic, will they open only when they detect the sun, or is it open on first morning light and close when it gets dark? There is a technology integrated into the E Wand that directs the sensors to track light patterns, so in fully automatic mode the E Wand will open the blinds when it detects several incremental light changes and close the blinds when it detects several incremental light decreases. This ensures the blinds open and closes with sunrise and sunset instead of other possible environmental factors. 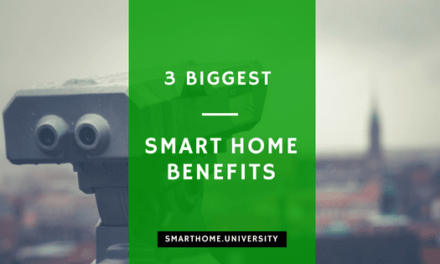 This also means that on cloudy mornings, these best smart blinds will still open. Regarding sensor mode, there are two “automatic” modes: fully automatic and semi-automatic. In fully automatic, the E Wand will open and close the blinds, but in semi-automatic, it will only close the blinds. The semi-automatic mode allows users to open the E Wand manually when they choose to and have the E Wand still close the blinds when it detects sunset. Afterward, you will have to program the E-wand to make the blinds function as you please. When it comes to DIY best motorized shades, the Rollerhouse blinds are the best choices regarding prices and features. It integrates with home systems like Alexa and Google Home with some configuration required. However, the overall installation and setup process for it is relatively easy. The DIY aspect makes the installation of the hardware a much more daunting task. Certain components like mounting brackets are missing, so you might have to purchase them if you don’t have them already. Can this be used with chicology free-stop cordless zebra roller shades/combi blind curtain drape, dual layer? It can be used any roller shades, mainly depend on what’s the inside dimension of the tube. Are the Li-ion battery’s removable from the motor tube? What is there lifespan? Yes, it can take out from the tube, there are screws outside the motor tube, normally 9-12 months depending on the usage when motorized the blinds also the weight of your shades. Will it work with a pull-down spring-based shade (Currently the spring is in the tube)? Probably not! You’d need to remove the “spring end” apparatus from the tube, then insert the motor. The motor’s diameter is a bit larger than most tubes and thus most likely not fit into your existing tube. Check the diameter of your current shade tube and verify it is the same as in the motor specifications. The weight limit is good, and once the length settings are set, the remote is easy to use, and the speed up and down is perfect!